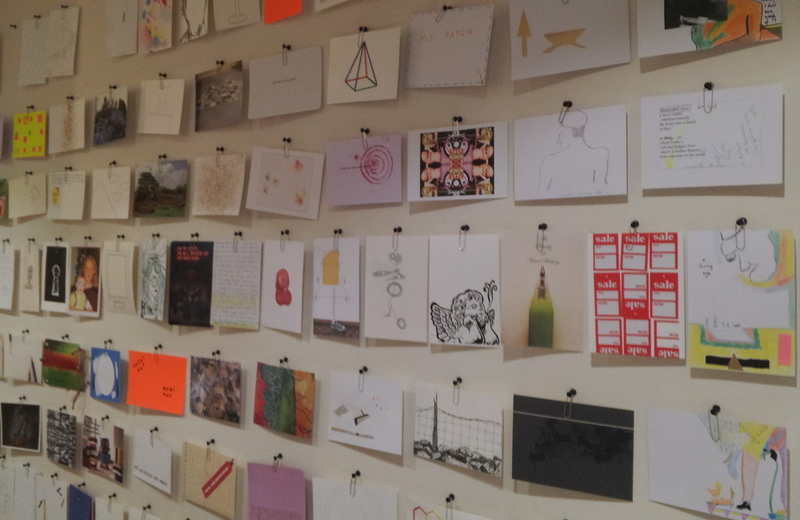 Postscript is an interactive exhibition of postcards posted to Leeds and “postscripted” by hannah festival visitors. 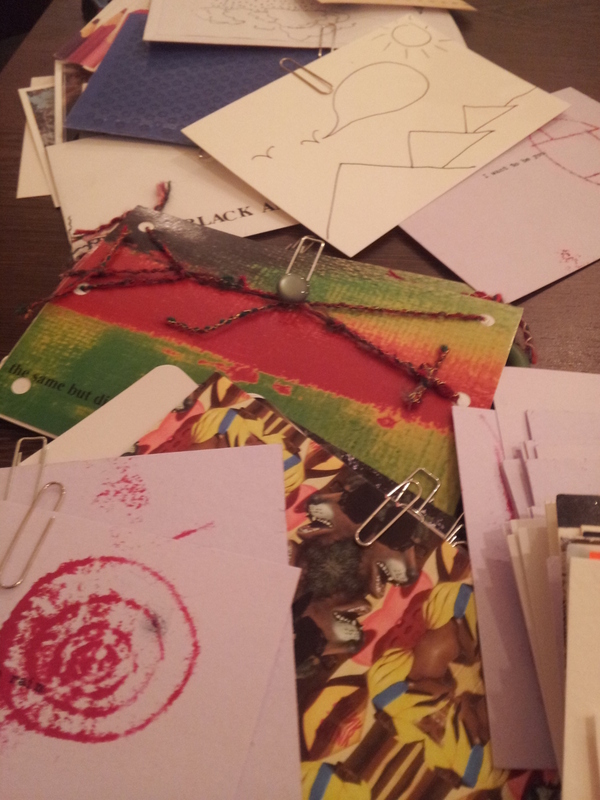 In this international mail art collaboration set in Laynes Espresso, you choose a postcard from the exhibition and colour in / add to / take away from / fill in / write on / tippex out / tamper with it, then we post it back to the artist. 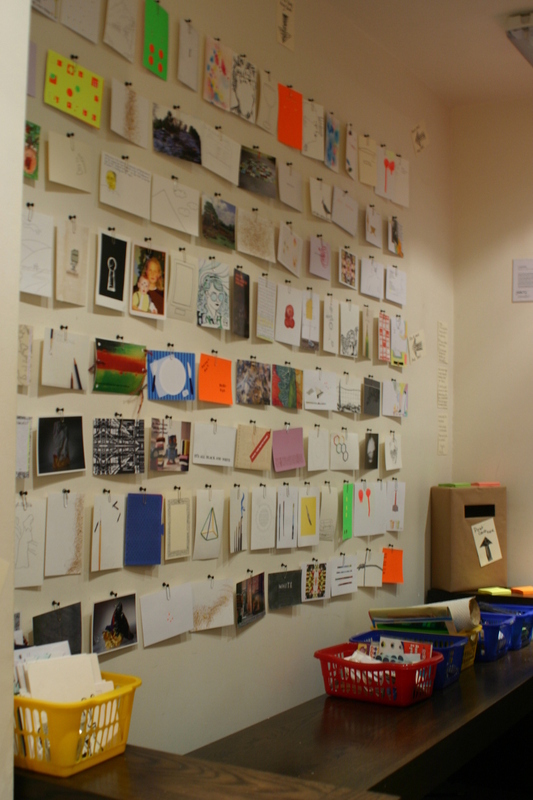 Each postcard is documented and displayed on this blog. 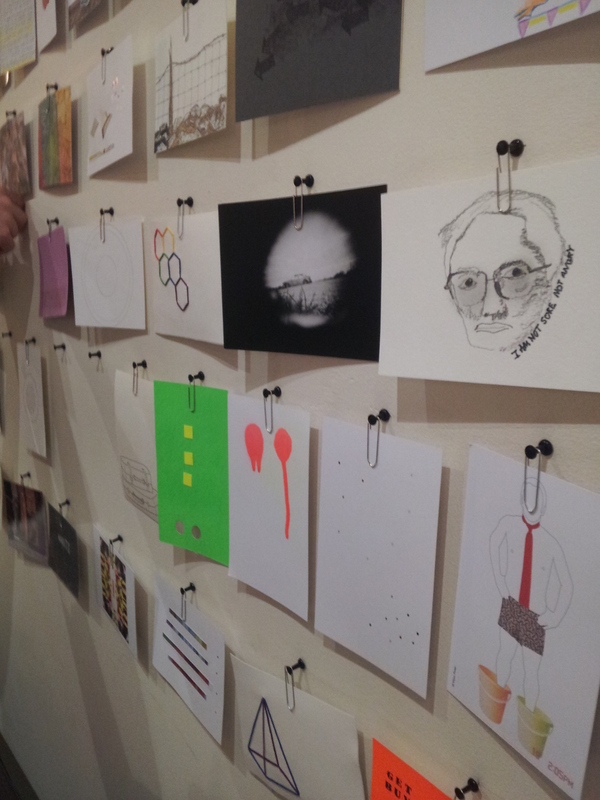 About Alice & Vanessa: Alice Bradshaw & Vanessa Haley are West Yorkshire based artists and curators. They co-curated for Holmfirth Arts Festival in 2011 an 2012, after meeting whilst working on Warehouse Weekend at Bates Mill, Huddersfield, in 2010.